In late September, the island of Puerto Rico was slammed by Hurricane Maria. The entire island still has limited access to clean water, electricity or medicine. According to FEMA, 17 percent of the island is without clean water and 59 percent remains without electricity over two months later. Without necessities like clean water and electricity, the health of Puerto Rican citizens is increasingly becoming a concern. Due to contamination of the drinking water from animal urine, there has been a leptospirosis outbreak that has infected at least 10 people. The bacterial disease has allegedly killed several people on the island. FEMA has been distributing resources like clean water daily, but the supplies are limited and there is nowhere near enough to get to every family on the island. It is estimated that over 100,000 Puerto Rican residents have left the island, and more are sure to follow. Lack of electricity means that hospital equipment are not sterilized properly, medication-dependent patients like diabetics who need insulin are unable to keep their medications refrigerated, and patients with renal diseases who count on dialysis treatment could possibly die if left untreated. Officials have also raised the concern about a resurgence of the Zika virus and other mosquito-borne diseases, as standing water and warm climate is ideal for mosquito breeding. In addition to physical health, the onset of mental health issues in the aftermath of Hurricane Maria are of increasing concern. Hurricane survivors commonly develop post traumatic stress disorder, anxiety disorders and depression. It is imperative that resources are restored to the island as quickly as possible to prevent both physical and mental illnesses from progressing and becoming an irreversible problem. 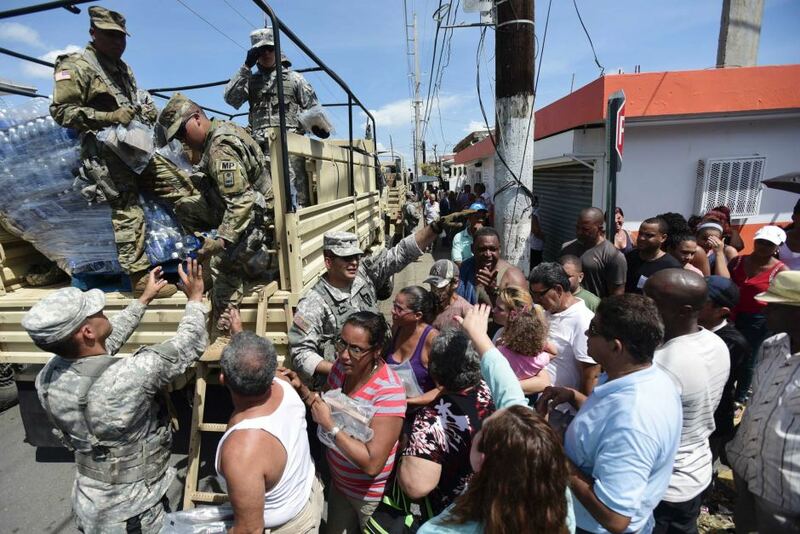 Despite conditions that seem to refuse to improve in Puerto Rico, President Donald Trump recently stated in a tweet that “we cannot keep FEMA, the Military, the First Responders, (who have been amazing under the most difficult circumstances) in P.R. forever!” Recently, the President has gone to Congress asking for a 4.9 billion dollar relief package for Puerto Rico, but there is no word as to the President’s future relief plans. Funds and resources are still desperately needed – it is estimated that the cost of Hurricane Maria in Puerto Rico will range from 46 billion to 95 billion dollars. Humanitarian organizations like the American Red Cross and the Hispanic Federation continue to accept donations toward relief efforts.